Fairtrade. Organic. Natural, fair & delicious. 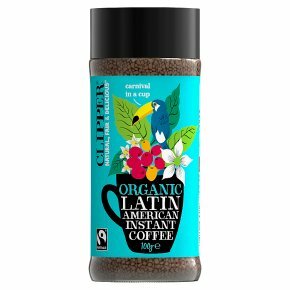 Carnival in a cup.A joyfully toasted blend of smooth, Latin American Arabicas. It's pleasure in an instant. How to make a perfect cup of coffee: always use fresh water, boil and leave to cool for a minute before pouring over coffee.